Located just ten minutes from the Punta Cana International Airport, a luxury resort awaits you: AlSol Tiara Cap Cana! With over one hundred suits and thirty thousand acres of beachfront property, this resort offers more than a fun getaway from the daily grind. It is also a dream wedding location. You won’t have to worry about your guests getting bored, there’s a ton of exciting activities like water sports, karaoke, live music, cooking lessons, and wine tasting! Additionally, you and your guests can golf at the best golf course in the Caribbean and Mexico! We aren’t exaggerating, it was chosen by Golf Week Magazine! 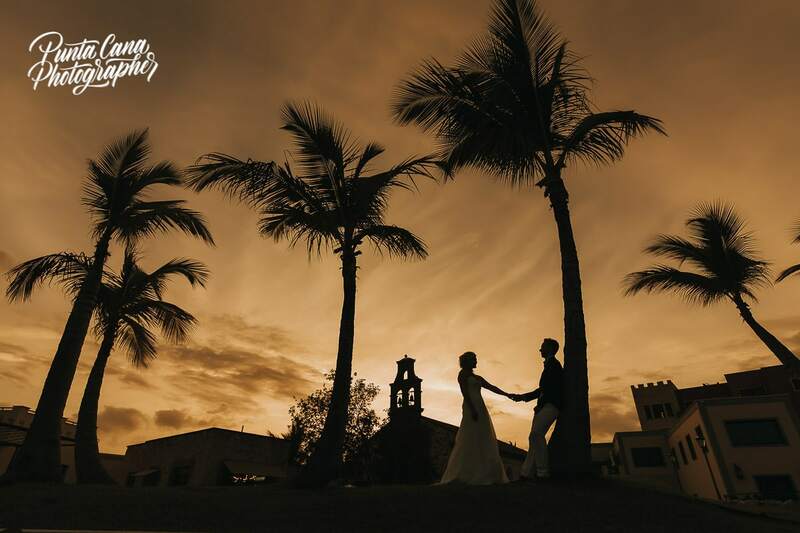 One of our favorite things about AlSol Tiara Cap Cana is the spectacular service and wedding packages. You can see below some information about them. Fit for six guests, including the wedding couple, the Forever ceremony is the ideal wedding package for a truly intimate wedding reception. Your package would also include a symbolic ceremony, a bouquet, champagne, and a turndown service on your honeymoon night. As a bonus, if you chose to stay 22 nights at the resort, the package becomes complimentary! On the higher end of the wedding packages available: The Jewel. This package includes a welcome party on the beach, the ceremony, flowers, a cocktail party, turndown service, couples massage, a romantic dinner on the beach, and other perks and privileges. If you are planning on having a large wedding party (fifty guests) then this may be the best option for you! Another wonderful thing about this resort is the wedding planning services that they offer. They hire professional wedding planning concierges to help you plan your special day. As anyone who has ever planned an event knows, the secret to a spectacular event is in the details! 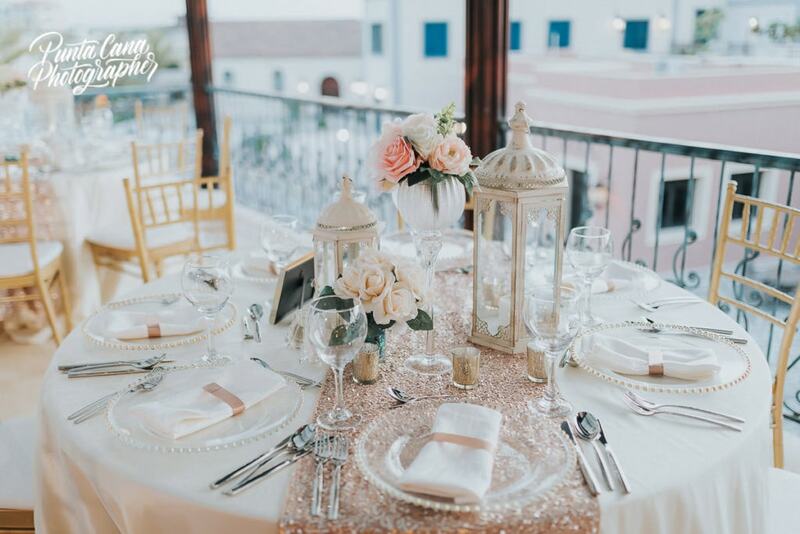 Once you notify the resort and let them know that you are interested, then you will be contacted and your wedding planner will contact you to help iron out the details. Also, if you didn’t know AlSol Tiara Cap Cana has several gorgeous wedding venues for you to choose from. Our top three favorites include the Sunset Ocean Pier, The Grand Canale Amphitheater, and the Seaside Chapel. The Sunset Ocean Pier is one of our favorites because of the exceptional ocean view. 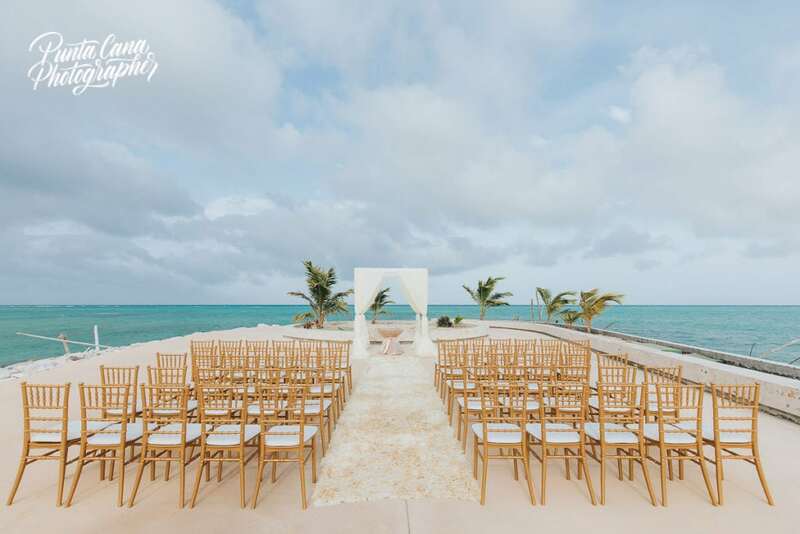 Yes, you can have an ocean view on the gorgeous sandy beaches here, but what if you could get married and be surrounded by the water? Just imagine it, you’re standing in front of your fiancé, and all you see is blue water behind him, and all he sees is blue water behind you. You both look at the wedding officiant, and all you see is the blue water meeting a distant horizon. The only sounds are the vows being said, and the waves meeting the pier. Pretty romantic, right? Additionally, the pier can hold up to eighty guests. The amphitheater can hold up to three hundred and fifty guests and overlooks that grand canal. Though not as “waterfront” as the pier, the grand canal view is still another one of our favorite venues to photograph because of the feeling that we have here. Try an imagine it, you’re standing in the center of the pavilion with your fiancé and the officiant. Along with your view of the water, you see your guests seated in a half circle surrounding you, and beyond them you see the stone steps that lead down to you and your fiancé. This combined with lit candles and sunset help reinforce the feeling of a momentous occasion. This quaint non-denominational colonial Seaside Chapel holds 100 guests and it photographs beautifully! The rustic looking stone walls and stone pavement combined create a romantic old world feeling that is reinforced by the stained glass windows. For this reason, we think the Seaside Chapel is another wonderful option for a wedding venue. The AlSol Tiara Cap Cana is a great choice for your wedding. It has wonderful wedding and honeymoon packages, tons of activities to keep guests entertained, as well as great wedding venue options outside of the physical resort. There are several other options available, and they are all beautiful. No matter which venue you chose, we know it will be beautiful. Happy wedding planning!